Why choose a WordPress Website Design? WordPress is the world’s most popular content management system (CMS) with its SEO friendly URL structure, it’s an easy choice when building your next website or blog. WordPress has been designed from the get go to comply with Google’s algorithms. Meaning domains using the CMS can easily be indexed by Google, helping websites appear when people search for keywords and terms related to their site. Because of this, it is much easier for SEO experts (such as ourselves) to work within WordPress’s framework to get websites ranking highly for the appropriate keywords. Content is one of the biggest drivers when it comes to increasing your SEO ranking. Because WordPress is so easy to use, it makes adding new content and blogging much easier. By creating a blog post, adding a title with your keyword, some links and some tags, once you hit the publish button, you can be confident that you have helped your presence. By doing this on a regular basis, you can draw more people to your site and boost website traffic. It’s good to include your keywords in the URL (use this blog post as an example) and this is easy to do with WordPress. This helps Google to spot that you are using the terms that you want to rank for. 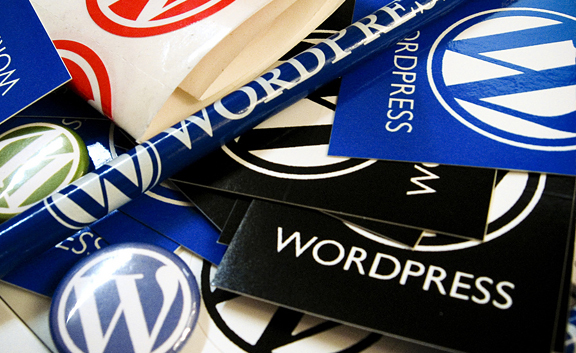 WordPress is free, which is great news for business owners looking to keep their costs down. Being open source, there are also people working on it to improve it all the time all over the world. The constant updates also help to keep track with Google’s updates – meaning that the CMS helps you to keep up with best SEO practice. RSS feeds (Really Simple Syndication) helps to improve SEO by sending your content to a feed directory with a good link coming back. It helps you to get and maintain followers to your posts and this in turn looks good to Google. It’s an additional feature already housed in the WordPress platform. WordPress code is clean. This helps minimize the effects of people adding malicious code, as Google can generally spot this and apply a warning in the Search Engine Ranking Pages (SERP) to the affected site. WordPress has a library of free plugins which will give your website additional functionality and help both webmasters and users on your site. So there you have it, some of the top reasons why WordPress is fantastic for your website when it comes to SEO. That’s why here at A Nerd’s World we use WordPress.